Imagery based on the classic DC comic, Wonder Woman is a member of a fictional, all-female tribe of Amazons who is sent to "man's world" as an ambassador. Her powers include super strength, hand-to-hand combat ability, and flight. She also makes use of her Lasso of Truth (which forces those bound by it to tell the truth), a pair of bullet-deflecting bracelets, and an invisible plane. 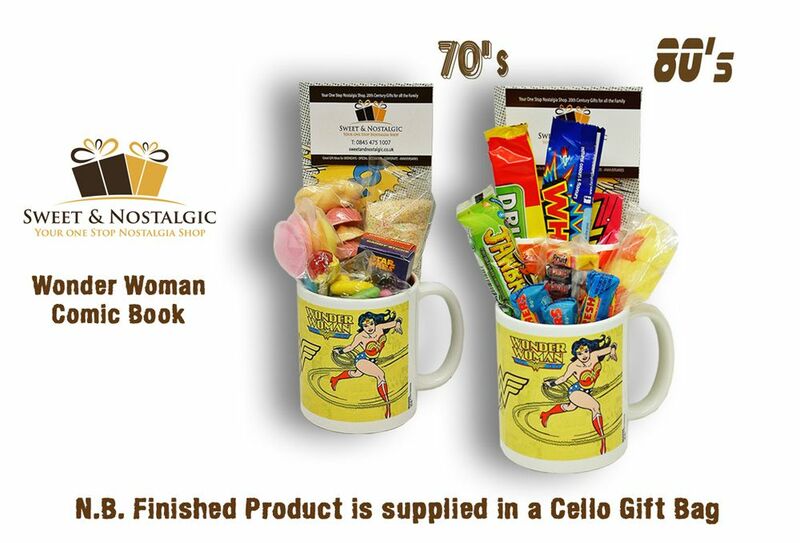 Selection of classic sweets from the 1970's or 1980's. Remember your childhood years with this beautifully crafted gift pack. 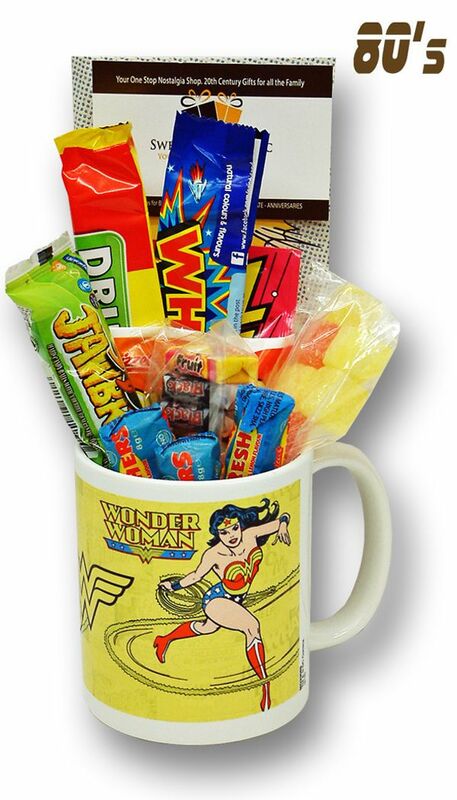 The ideal retro present for a 40th birthday. 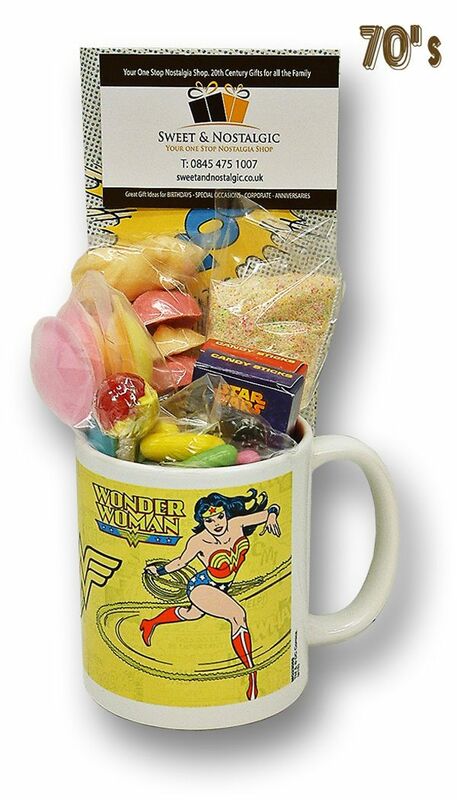 Weight : 450 grams Mug Only, 630 grams approx with retro sweets.